Do you need help using Adiscon’s products? No problem, find free online seminars right here! Currently, we have only few seminars available, but expand this selection continuously. WinSyslog 3.7 real-time logging Explained (6 minutes, beta seminar). Adiscon Painless License – how to activate your product after purchase (2 minutes). For best viewing experience, please maximize the Media Player Window. In order to view a seminar, Windows Media Player is required (preferably version 7 or higher). If you do not have Windows Media Player, please visit Microsoft’s web site for a free download. 1. You would need Base Product Key and Window Reporting Module Key for this scenario. You can now click on any of the displayed reports. For the purpose of this article, I have selected “System Status Report” because it is a very comprehensive report and summarizes the overall network activity very well. 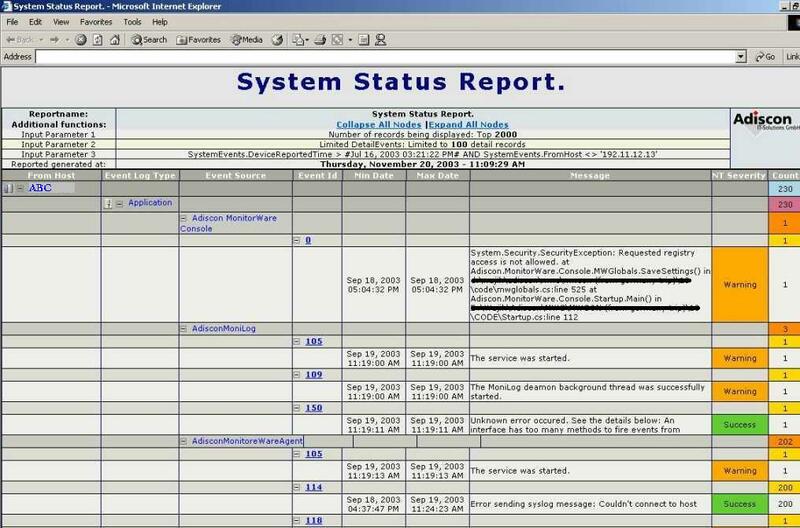 Once you click on the System Status Report, you will see something similar to the figure shown below. Note: Windows Reports are displayed in a band of Lilac whereas the PIX Reports are displayed in a band of Blue. 4. 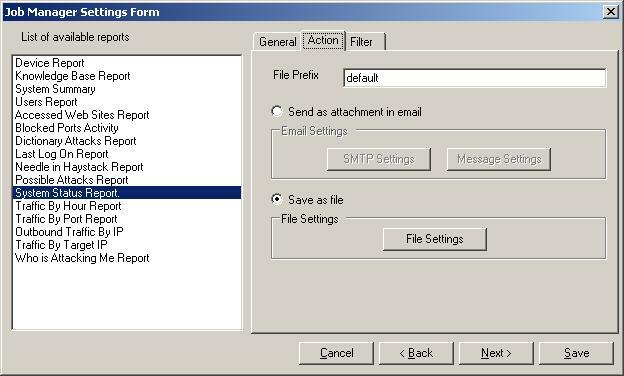 This form displays the report options. If you double clicked on any “Report”, then in that case, this form will open up with default options that you had set. (For details about defining global settings, please refer to MonitorWare Console’s Manual which can be accessed by pressing the Help button in MonitorWare Console’s tool bar). These settings help you out if you want to generate many reports with almost the same settings. Of course, you have the liberty to overwrite these settings. 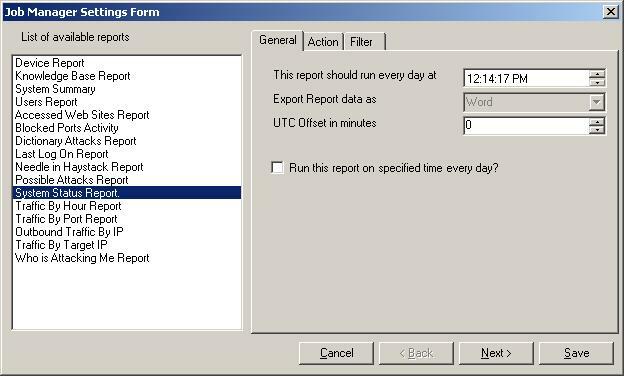 You can generate reports on the data using the underlying database (even from an another database) or from a log file. 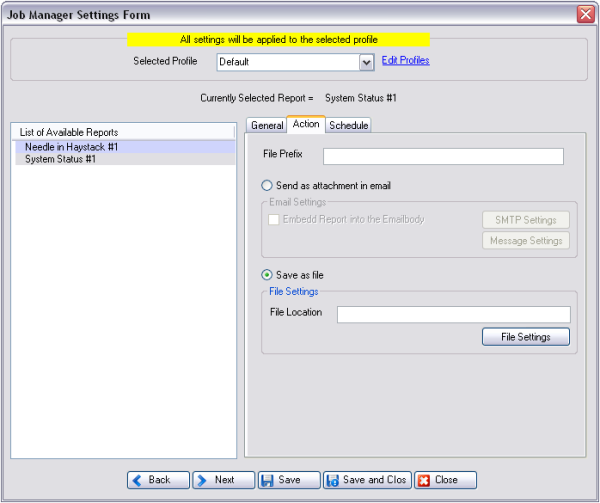 You have the option of generating the reports on the fly. Even if MonitorWare Console is connected to some other database, still you can give any DSN, its user name and its password and the report will be generated on that particular database to which the DSN is pointing to. The same approach can be used with the log files. 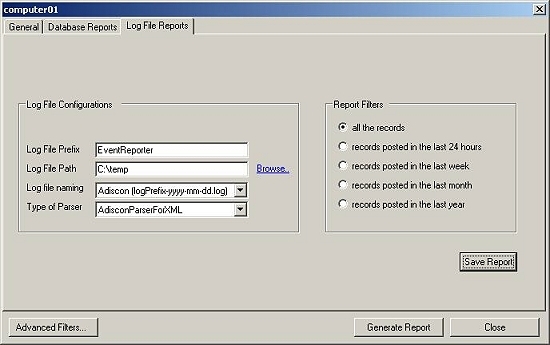 You can override the default log file settings and MonitorWare Console can generate reports using some other log file, still you can give Log File Configurations in the above fields and the report will be generated on that particular log file. 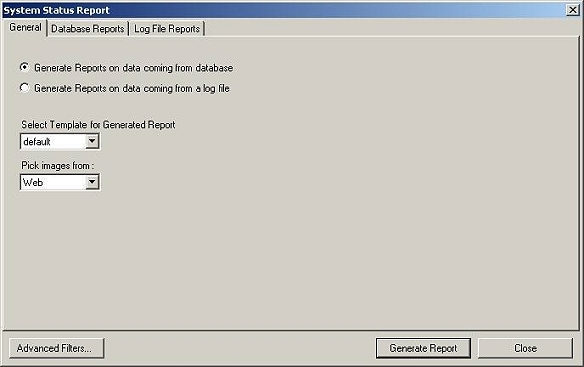 If “Generate Reports on data coming from database” is checked then all of the controls on “Log File Reports” tab will be disabled. If “Generate Reports on data coming from a log file ” is checked then then all of the controls on “Database Reports” tab will be disabled. It means that these are mutually exclusive. 5. MonitorWare Console provides a powerful feature of letting users define and apply filters on any report. Using this form is further explained in the upcoming steps, you can apply the filters of your own choice on the underlying database or on the log files. 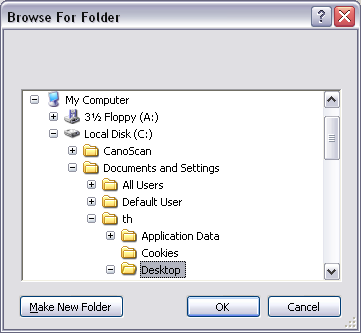 (For details about the filters, please refer to MonitorWare Console’s Manual which can be accessed by pressing the Help button in MonitorWare Console’s tool bar). 6. Lets assume in this scenario that, I am interested in getting a report for the records that were logged (into the underlying database) from the machine ISPLWS01. With this Advanced Filters’ Form, you can specify some additional filters for the System Status Report. This Advanced Filter form provides an opportunity to consolidate the records to a great extent. I will give one example to clarify this. 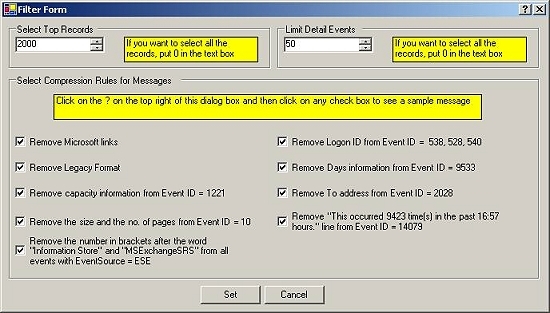 Some events that are generated in the Windows Event Log have the same message but sometimes contain different Microsoft links. 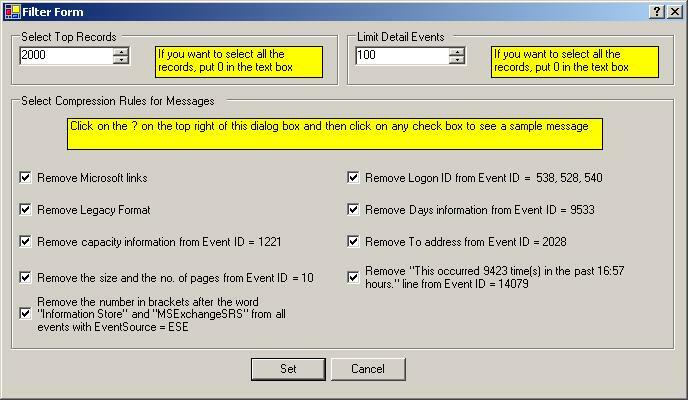 If you select the check box “Remove Microsoft links” above, it will remove the Microsoft links before consolidating them and hence a number of different events with count 1 could be consolidated to just a single line. Please note that it doesn’t remove the information permanently from the database. It just removes this information for generating this report. Similarly other check boxes can be checked to provide a greater level of consolidation. 9. Once you define the advanced filters in the form shown above, press the “Set” button. You will be taken back to the previous Filter From. 10. Once you have defined all the filters, you can actually save all of your settings by pressing the “Save Report” Button in the Filter Form so that you don’t have to define these filters daily if you are interested in seeing this report daily. In this report, you also have the option of expanding and contracting the node of From Host, Event Log Type, Event Source and Event Id. 12. Lets assume in this scenario that, I am interested in getting a report on all the records that were logged (into the log file). 14. Once you have defined the filters, you can actually save all of your settings by pressing the “Save Report” Button in the Filter Form so that you don’t have to define these filters daily if you are interested in seeing this report daily. Note: You can have a look at other available Windows Reports. Job Manager can now also generate those reports that you have saved in the Reporting Module by applying various filters. 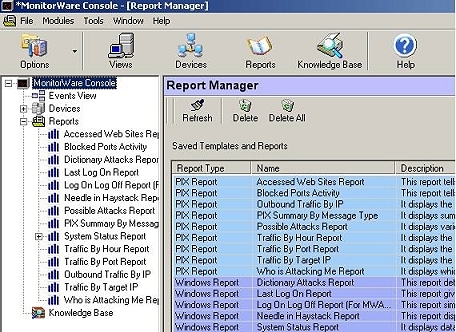 The reports that are indented in Figure 1 are those reports that had been saved using Report Manager. 2. Click on the report that you want to schedule. 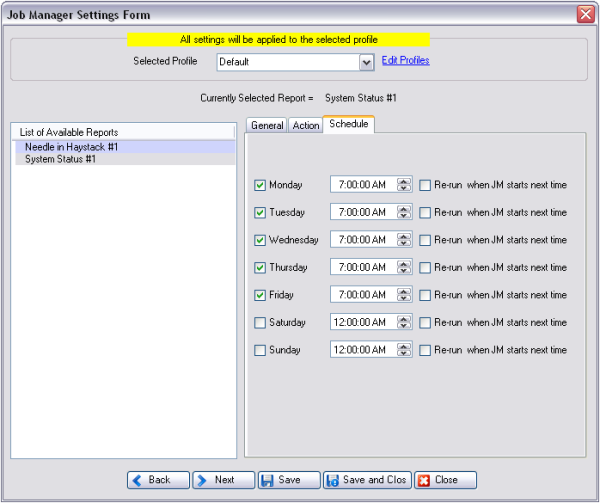 In this example I will illustrate the scheduling of “System Status Report”. 3. Click on “System Status Report” on the left hand side. You can select any path over here that you feel like. But if you want to view this report on the web, you will have to create a folder under Inetpub -> wwwroot. 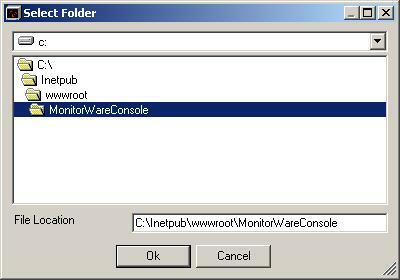 In this case, I have created a folder named “MonitorWareConsole” and have selected the same in the above dialog box. Click OK, once you have done that. You can select one of the above 6 mentioned filters based on your requirements. You have two options over here. 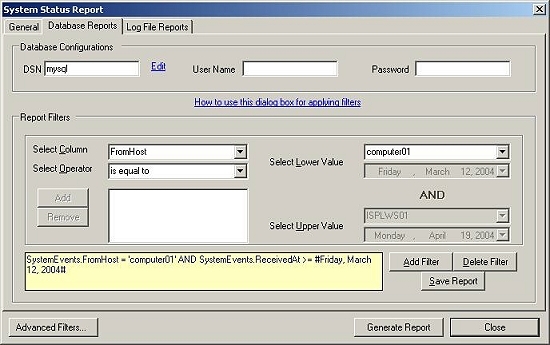 Either you can generate the report from a database or you can use log files i.e. these two options are mutually exclusive. If you select “Generate Reports on data coming from database” radio button, then the schedule reports would be generated on the basis of the underlying database. We have provided this option so that if your main data on which you want to generate reports is present in some other database, then you can give its DSN over here. And If you select “Generate Reports on data coming from the following file” radio button, then the reports would be generated on the basis of the configured log files and not on any database. You can either carry on with Step 13 or Step 14 depending upon your requirements. 13. 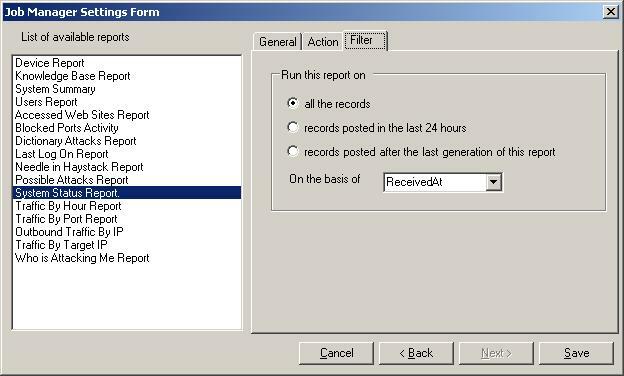 If you want to generate the report from the underlying database or from any other database then you select “Generate Reports on data coming from database” radio button. 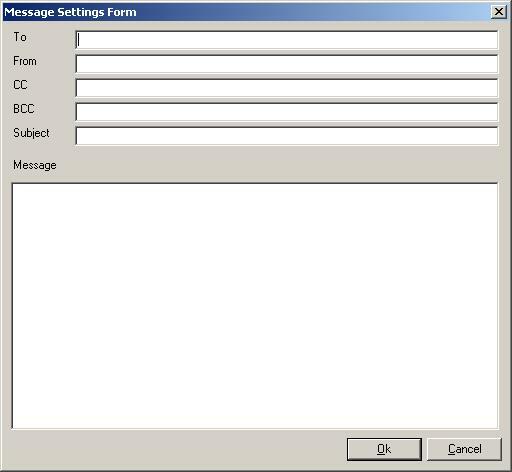 Once this option is checked then provide the DSN, User Name and Password as shown in Figure 8. Note: If you had created the DSN with the “Windows Integerated Security”, then you don’t need to give any User Name or Password. We highly recommend to create a specific account with very limited permissions if you store a password. This account does only need to have “select” permissions. Format of the Log File for Window’s Report – If you want to generate the above Windows’ Reports on log files, then its absolutely necessary that the log files are in a specific format. Only the following two check boxes in the “Write to File Action” of EventReporter, MonitorWare Agent or WinSyslog should be checked. 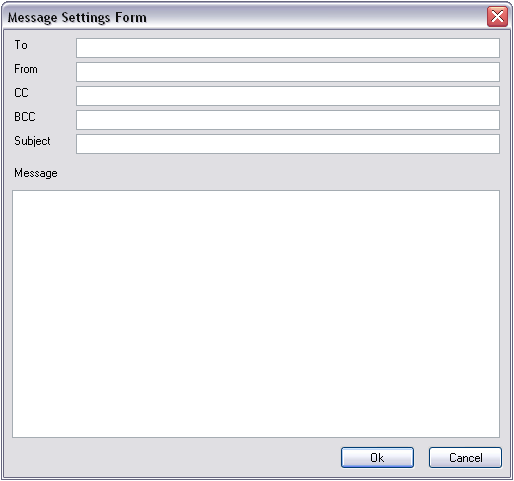 Figure 10: Write to File Action of EventReporter, WinSyslog and MonitorWare Agent. Note: Do NOT check “Use Legacy Format” in your EventLogMonitor Service. If you check this, the records can not properly be compressed and you will receive a very large report. Format of the Log File for PIX Reports – If you want to generate the above PIX Reports on log files, then its absolutely necessary that the log files are in a specific format. Only the following check boxes in the “Write to File Action” of EventReporter, MonitorWare Agent or WinSyslog should be checked. 15. Once done, click on “Save” button. All the settings will be saved permanently. If the Job Manager Service is running, it will give you a message saying that it would restart the service so that new settings could take effect. If on the other hand, the service in the background is not running, it would give you a message saying that you have to manually restart the service. You can start the service manually by going to Control Panel -> Administrative Tools -> Services and start AdisconMWCJobManager Service. 6. Lets assume in this scenario that, I am interested in getting a report for the records that were logged (into the underlying database) after March 12, 2004 and were from the machine computer01. Reports in MonitorWare Console can be scheduled using Job Manager. With Job Manager you can not only schedule the reports such that they are saved on the hard disk but also you can schedule the reports such that they are sent via email to specified recipients. You can now select one of the above 3 mentioned filters based on your requirements. 1. Once MonitorWare Console is opened, on the left hand side, you can see a tree view with a node called “Reports”. Click on that node. It will show you the list of avaiable reports under it as well as on the right hand side. You will see something similar to the following figure. 6. Once you define the advanced filters in the form shown above, press the “Set” button. You will be taken back to the previous Filter From. 7. Once you have defined all the filters, you can actually save all of your settings by pressing the “Save Report” Button in the Filter Form so that you dont have to define these filters daily if you are interested in seeing this report daily.